51308 is rated 3.6 out of 5 by 20. Is the shower slide bar a grab bar? 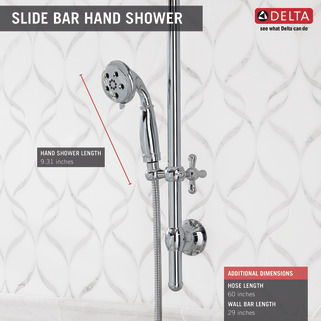 Is the shower slide bar ADA compliant in that it can be used as a safety grab bar? How much can parking bracket angle be adjusted? I have a 51308 and ihe parking bracket only moves from straight up to about a 20 degree angle....is that all the further it will go? I'd like to get the Leland Monitor&reg; 17 Series Shower Trim with this, but I don't need the extra Leland shower head. Do I have the option of matching that trim with this hand shower? Our goal is to have the separate controls for volume and temperature. Thank you for your question. The Leland series does have a valve only model. 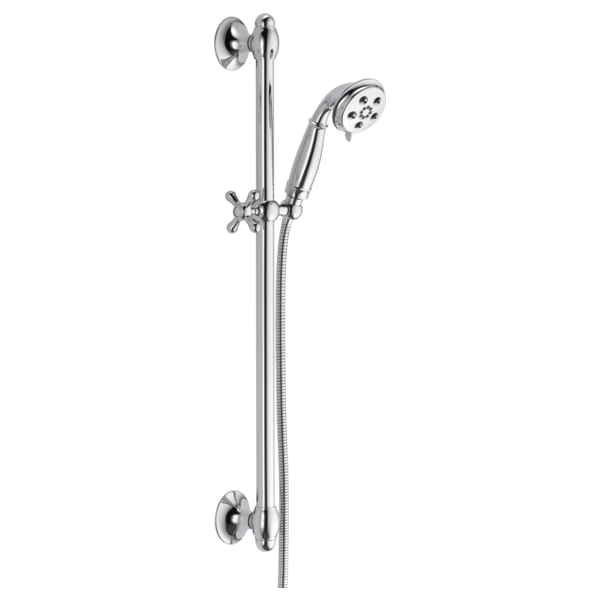 You could order Delta Faucet model # T17078 and then put anything you want with it. You will also need the R10000-UNBX rough-in to complete the package. Iforgot to drain the shower head last winter and the body of the shower head split. Can I order a new shower head?